It is my hope through patreon to be able to expand my craft, and create more elaborate costumes, as well as, more costumes through out the year. As a cosplayer I advocate for community service in cosplay, Cosplayers Against Bullying, LGBT+ Cosplayers, Plus Size Cosplayers, and Cosplay is not Consent. Contributing as a supporter will also aid in continuing to advocate for these wonderful causes. A special Thank You card for helping to support my cosplay art. Access to behind the scenes videos of my work process, and make up tests. 1 - 5 x 7 Print of your choice signed with message. A Special Sign Shout out Message via Facebook. Early Access to Photoshoot Images. 1- 8 x 10 Print of your choice signed with message. A special shout video in your choice of cosplay. 1- Special Wallpaper of any Cosplay. You choose my next cosplay. One on One skype Q&A chat or Meet-up at a con and do a photoshoot together. 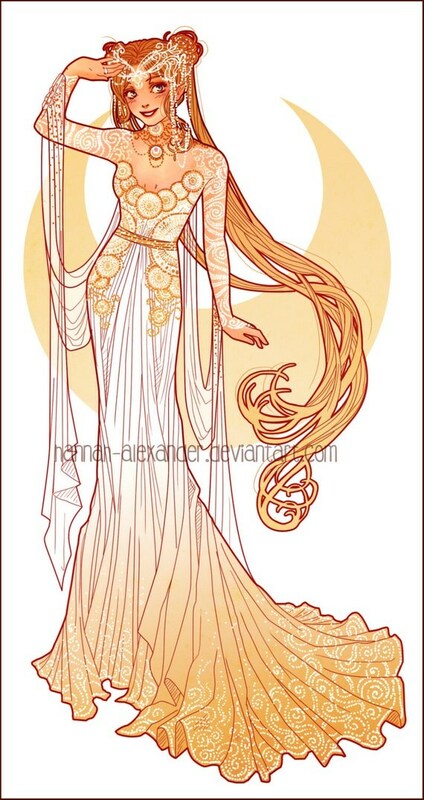 My first larger more elaborate goal is to do Hannah Alexander's Princess/ Sailor Moon design. With a small contribution from wonderful supporters I will be able to afford more of the supplies such as beads, Lace, fabrics, Appliques, glass pearls, and small crystals.